Long before Amazon and Lulu and CreateSpace made it easy, I had my own foray into self-publishing. I was reminded of it this morning reading James Altucher's excellent post on why and how he self-published his new book, How to Be the Luckiest Person Alive! It was 1987. I had just returned to New York from living in Germany and France and started working for an international agency representing Latin American and European publishers. 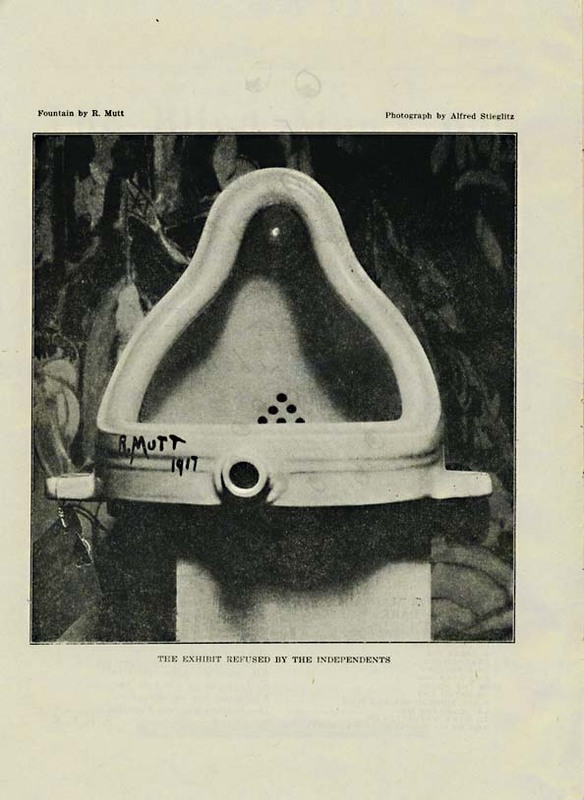 But 1987 was also the centenary of the artist Marcel Duchamp. While living in Europe, following the break-up of my band, Active Driveway and the folding of my magazine, Rockstop!, I started writing a book about Marcel Duchamp. That fall, the Philadelphia Museum of Art held an exhibit to mark the centenary appropriately titled "Apropos of Marcel Duchamp." I went to Philadelphia and, as a kind of art performance, sold the limited number of copies on the steps of the Museum of Art. At one point, a guard came up and tried to remove me from the premises, which caused a scene -- perfect for selling more copies of the book. Finally, I was able to convince him to let me stay if I gave the books away rather than selling them. My little book wasn't going to be a best-seller, that wasn't the point of it. But in its own way, my book created more of a spectacle than it would have in the hands of a big publishing house. That kind of niche marketing is so very important today and it is so much easier to get your ideas out there than it was in 1987. As a parting gesture I asked the museum guard to take a signed copy of my book to the museum curator, Anne D'Harnancourt, who had been a friend of Duchamp. He agreed. I don't know whether the book ever made it into her hands. Quite possibly, one of the few copies sits in the Museum's collection, but it doesn't matter, the endgame in this case was the gesture itself. Just as Marcel Duchamp would have liked it. How I Almost Created "The Disaster Channel"